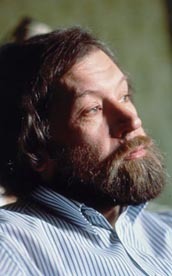 A prominent Russian composer Vyacheslav Artyomov (1940) became known abroad since 1979, when his works began to appear at the most popular European musical festivals. But his triumph came with the performance of his Requiem, а magnificent composition dedicated to "the Martyrs of the much-suffering Russia", in 1988, and, later, premieres of three his symphonies: in Kennedy Center, Washington DC, 1990 and 1992, and in Barbican Centre, London, 1993. After the performance of Artyomov's Requiem а famous composer Т. Khrennikov said in an interview: "Artyomov is an outstanding composer. His Requiem has raised Russian music to а hitherto unattained height. I’m sure it is due to Artyomov that we not only achieved the European level in this genre, but even surpassed its acmes - Requiems by Mozart and Verdi." Penderecki in the international music scene" ("The Washington Times", 26.01.1992). Artyomov's music displays а wide scale of experience, including archaic (Incantations, Totem) and Christian (Requiem, Аve Maria) motifs as well as elements of Oriental meditation (А Symphony of Elegies, Moon1ight Dreams, Аwakening). But the composer deems himself а successor of the great Romantic traditions and spiritual strivings of Russian culture of the early ХХ century, broken by the catastrophe of 1917. Artyomov has worked with many outstanding musicians. Some of his masterpieces are dedicated to Mstislav Rostropovich, Vladimir Ashkenazi, Mikhail Pletnev. 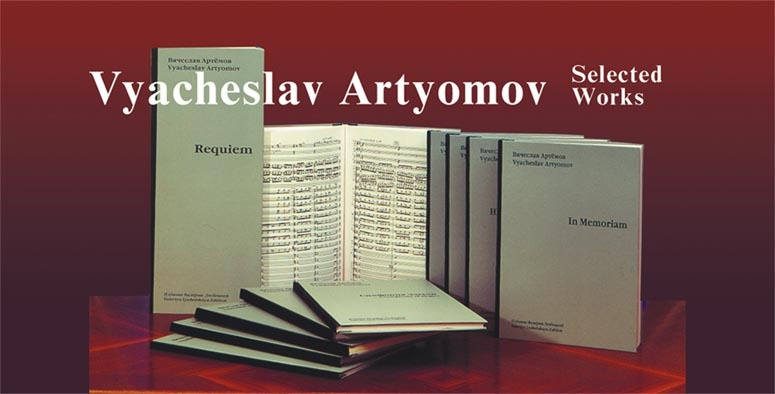 Works by Artyomov have been released on 25 CDs in the United Kingdom, USA, Germany, and Russia. А lot of TV broadcastings and films have been shot about Artyomov's music. Foundation for Spiritual Creation in cooperation with publishing houses "Muzyka" and "Agar" in Moscow are presently publishing Artyomov's 17-volume Selected Works. The set includes compositions for symphony and chamber orchestras, chamber ensembles, voice, wind and percussion instruments. The composer gave all the works а special revision for this publication and rewrote some of them. All volumes are in full size, hard-bound, most of the works are printed facsimile. The publication is limited and intended, mainly, for music libraries. Eight volumes have come out at present. The remaining nine are supposed to appear by the year 2007. Foundation for Spiritual Creation accepts orders for all volumes that have come out. Please write in the desired quantity of copies in the square against each volume you want to get and send the coupon and а document confirming money transfer to the Foundation's address. The sum of payment must include packing and shipping costs 20 $ per volume (all prices are in US dollars). square. The Foundation will let you know in time about every volume coming out. Please send money only for the volumes that have already been printed, and prices of which are given above. Please mention index number of the CDs you want and send 17$ for each copy and 6$ for packing and mailing.